Can you make it with a Vitamix? I don’t have an ice cream maker. Hi Tiffany! 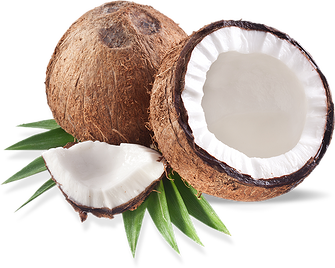 I am looking for BPA & preservative Free organic coconut milk. I have found BPA and preservative Free but Not Organic too. Can you recommend a brand that meets all that I am looking for? Hi, I don’t have an ice cream maker, ice cream pops or use a bag method on it? Hi Peggy, I have made ice cream pops and it they were good. I also added cocoa powder (usually in the same amount as the honey) and they tasted like fudge pops. Hubby and kids loved them! how much vanilla extract would that be? and could i just put it in the vita mixer on ice cream setting if i put ice in it? can we use home made coconut milk instead of canned and can we substitute agave for honey? Anyone had any luck adding anything to it so it doesn’t get so hard in the freezer? When I used to make dairy ice cream I would add egg yolks and that helped keep it scoopable. I want to keep it natural (not a fan of gums) so I just thought I would check!! Thanks! I’ve used gelatin and a small shot of vodka and that helped a lot. I’m with you, not a fan of gums.. I love this recipe! I don’t have an ice cream maker, though. I wonder if I can make it anyway, maybe adding either some gelatin, vodka or xanthan gum, (to create a softer, creamier consistency)…Otherwise, it might just freeze up hard as a rock! The tips of vanilla bean coconut milk ice cream is outstanding for vanilla lovers. Thank you for the great recipe. Was so excited to finally get an ice cream maker and make this! I wanted to start simple. It came out great but I think 3/4 cup of honey is too much. It was way too sweet! Next time I’ll reduce it to 1/2 cup or less. 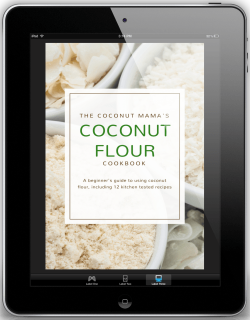 Also great tips about refrigerating the coconut milk. My ice cream maker said it would be done in 20 min or less but it actually took over double that. Thank you for the great recipe! When ever I make ice cream, I mix all of the ingredients and then put the mixture in the fridge overnight. Whether you use milk or coconut milk, you should refrigerate at least 2 hours. I always shake everything up before I dump it in the ice cream maker.